Although you wouldn’t say when you walk outside in the sun, but officially autumn has begun and it will not take long before we will start feeling it. Autumn is actually one of my favorite seasons. Spring and summer are the seasons where flowers run away with all the attention, but in autumn it’s the trees that show their colors and fill the air with the typical autumn smell. 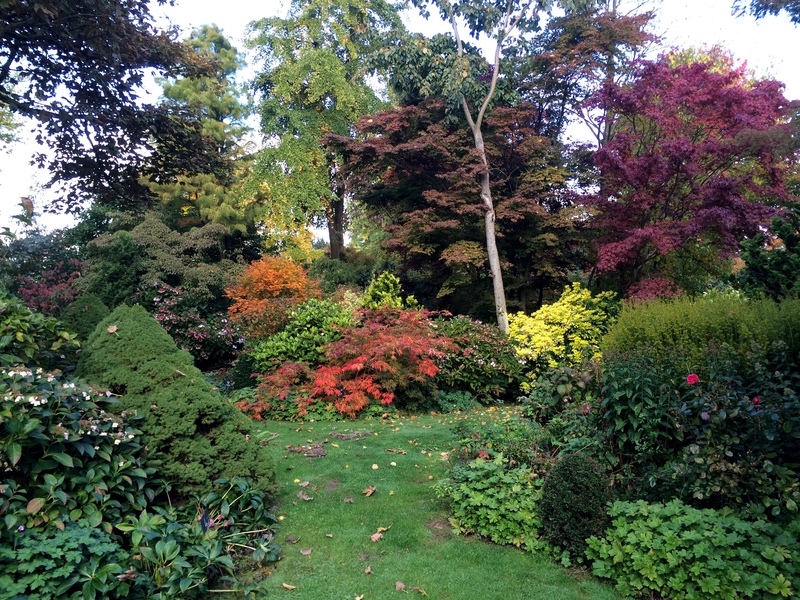 So to be in time to enjoy all that beauty I present you already a beautiful garden that has a lot to offer in Autumn. Last year we visited the private garden “Jardin du Mesnil” on our way from Normandy back home. We got a warm welcome by the passionate owner of the garden and passionate is an understatement. The garden is 3 hectares big and they keep it up with only 3 people and when you think that is crazy, you should see the vast area they are adding to it now. 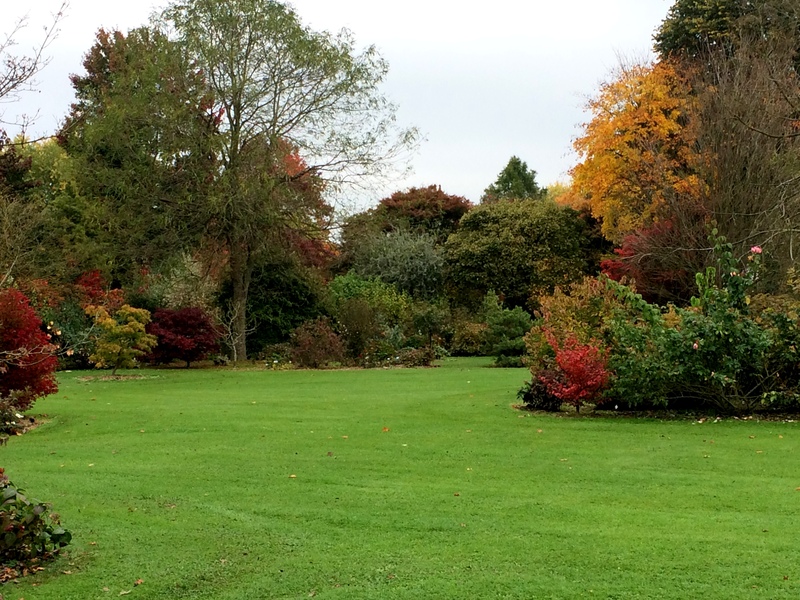 This garden has of course a lot to offer in all seasons and I would really love to visit it in late spring as well. 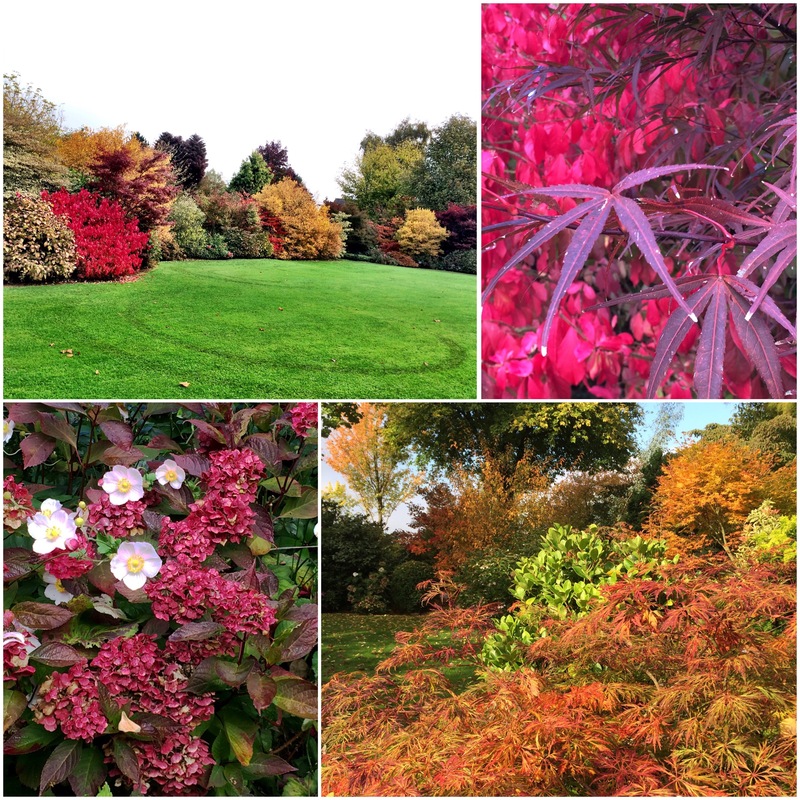 But I am sure nothing can beat the enormous color explosion you can admire here in autumn. 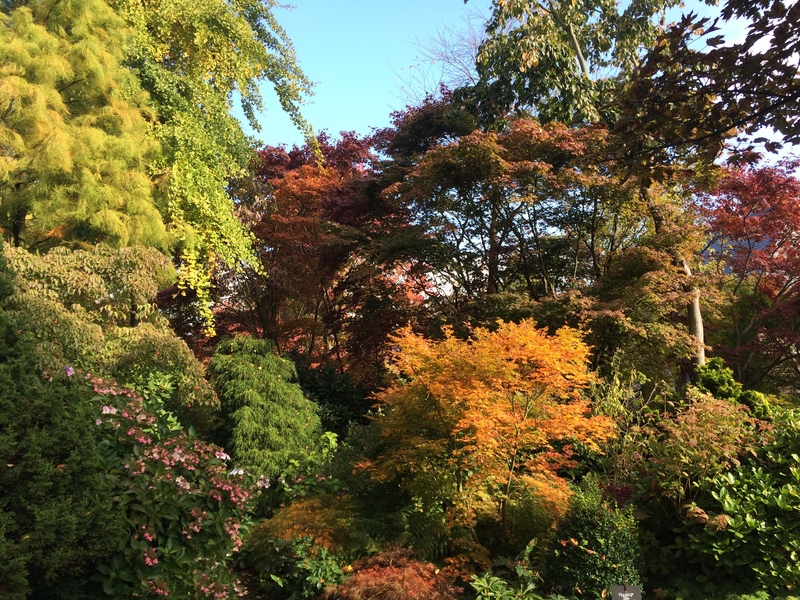 You walk in between the enormous garden beds full of Japanese maples, colorful euonymus, caryas, liquidambars, … For already more than 30 years the owners have been expanding this beautiful garden with the uttermost care. From small meandering paths you suddenly stumble upon large open areas, to then go back to more secluded and cosy areas. 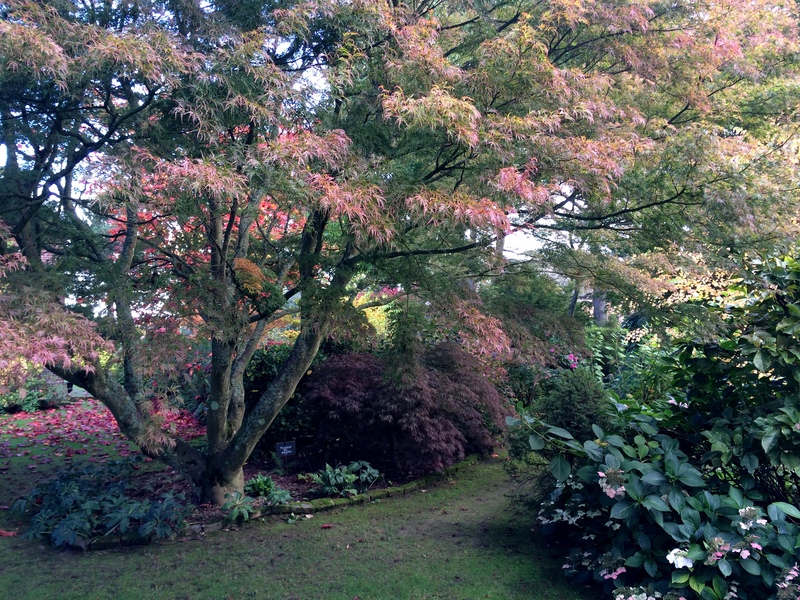 If you don’t make it this autumn, try to see their magnolias in spring or the large hydrangea collection in summer. Not only is the garden a real delight, the lady of the house has a nice tea house on the premise where she offers all kinds of delicious home made sweet and savory dishes, jams and a nice selection of teas. She will be happy to share her passion for the garden. In the little movie below you get a small introduction in French. Opening Hours : 11 am to 6 pm : The garden is open from the 1st of May to the 1st of november, every Friday, Saturday, Sunday and bank holidays.